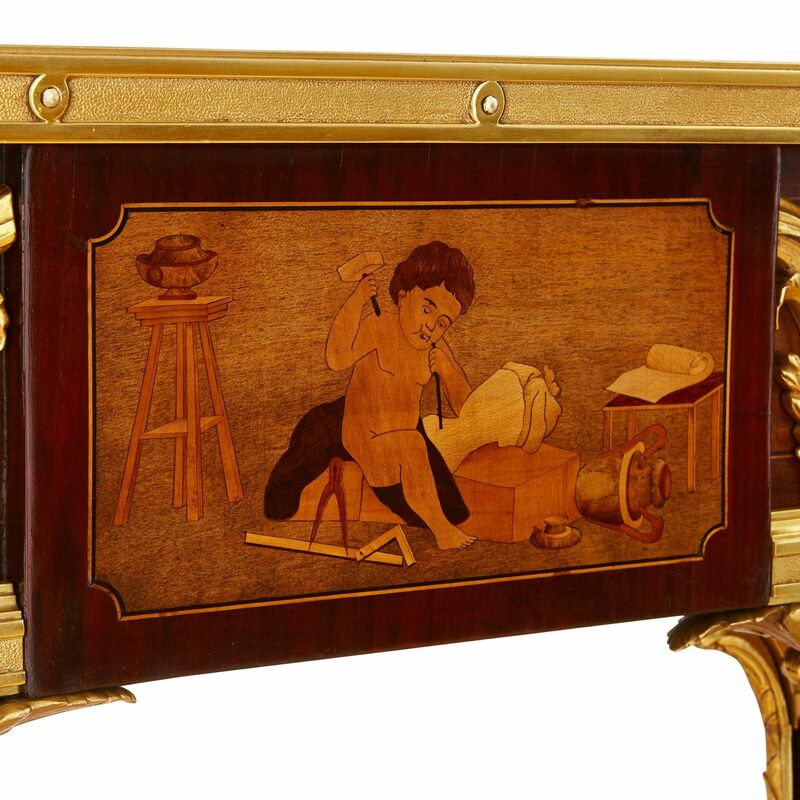 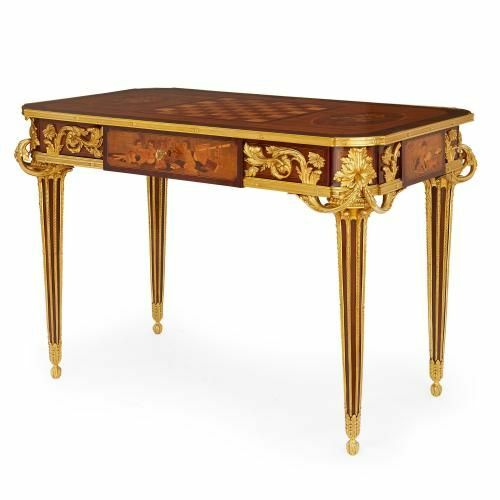 This outstanding antique desk was crafted after an original model by Riesener, commissioned by the manager of the French Royal Furniture collection. 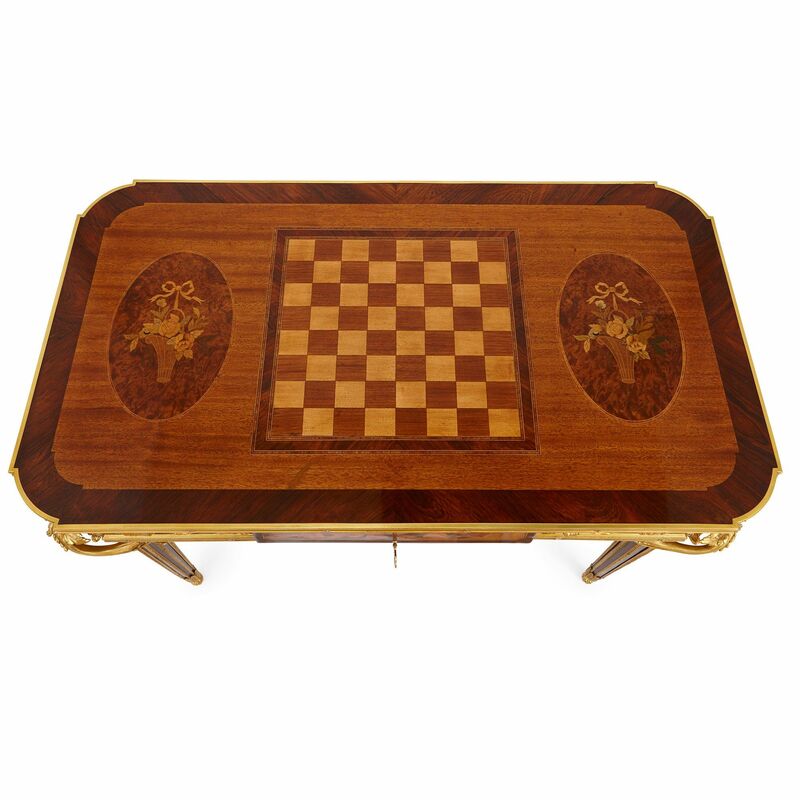 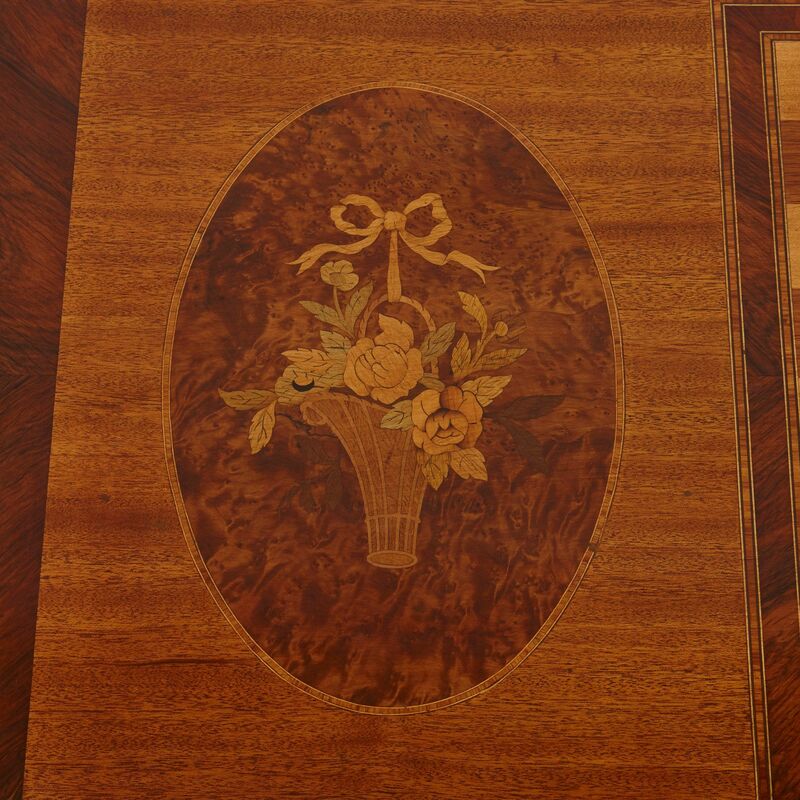 The top inset with a central marquetry chess board with surrounding floral bouquets, with elaborate ormolu mounted marquetry frieze below, leading to four legs. 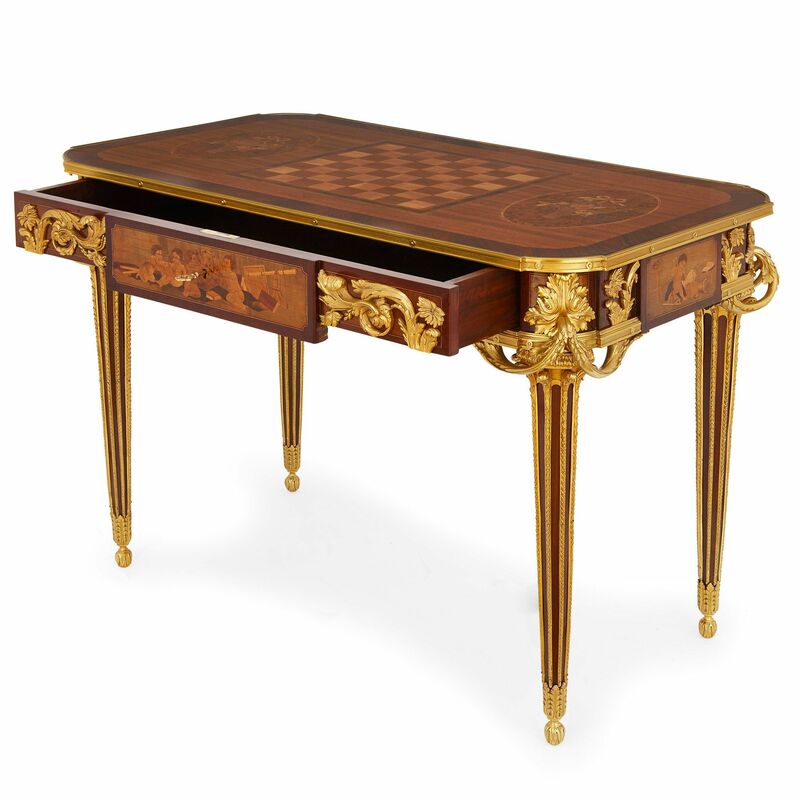 After the model by Jean-Henri Riesener (French, 1734–1806) known as the 'La Table aux Muses' (Table of the Muses). 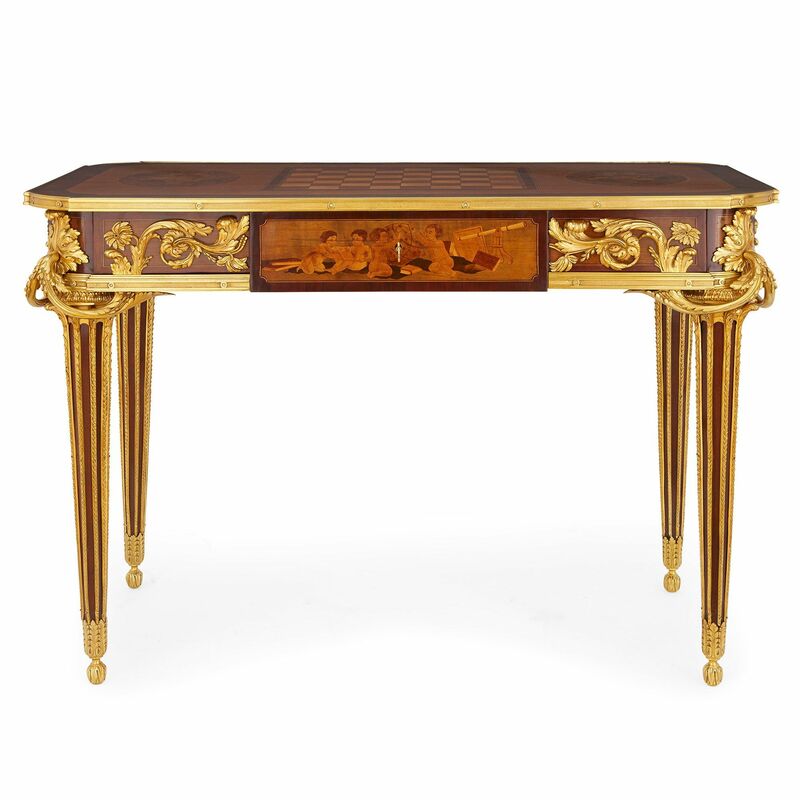 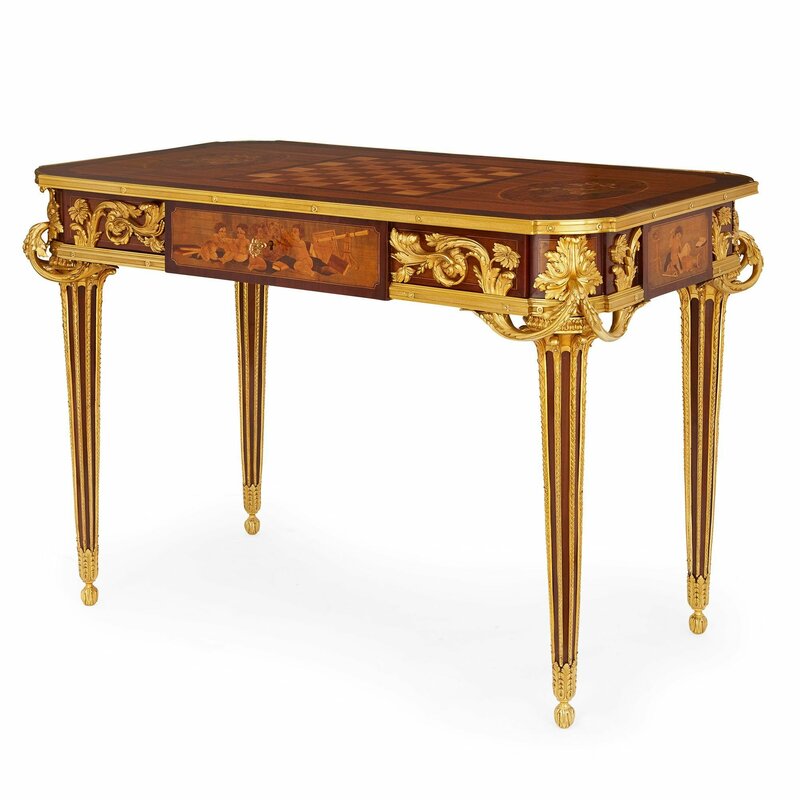 This table is a variation of the original in the collection of the Musée de Versailles (Inventory number T510c), located in the Petit Trianon. 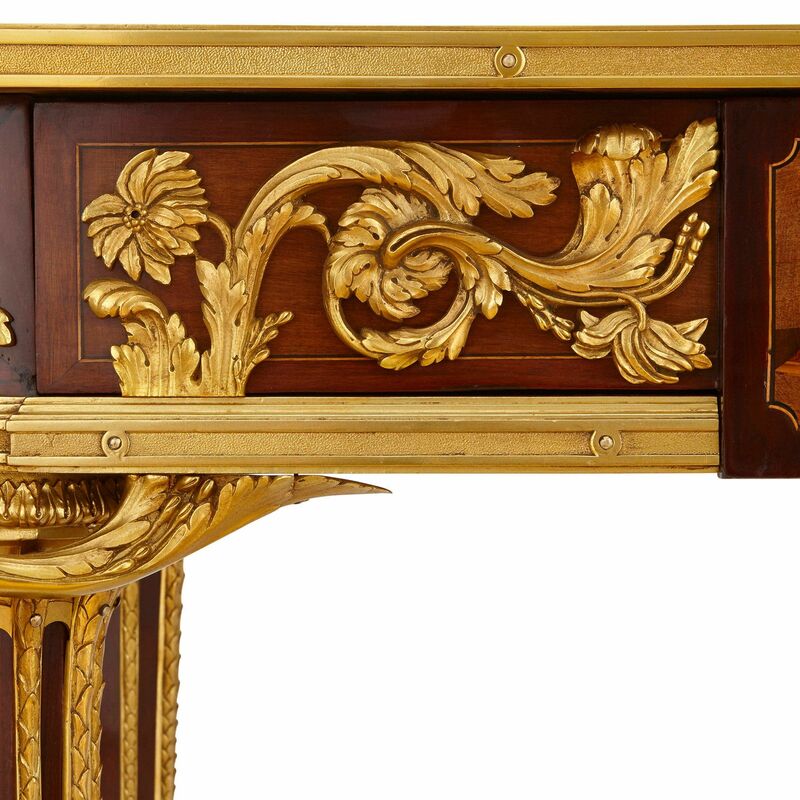 It was commissioned by Pierre-Elisabeth de Fontanieu and completed by Riesener in 1771. 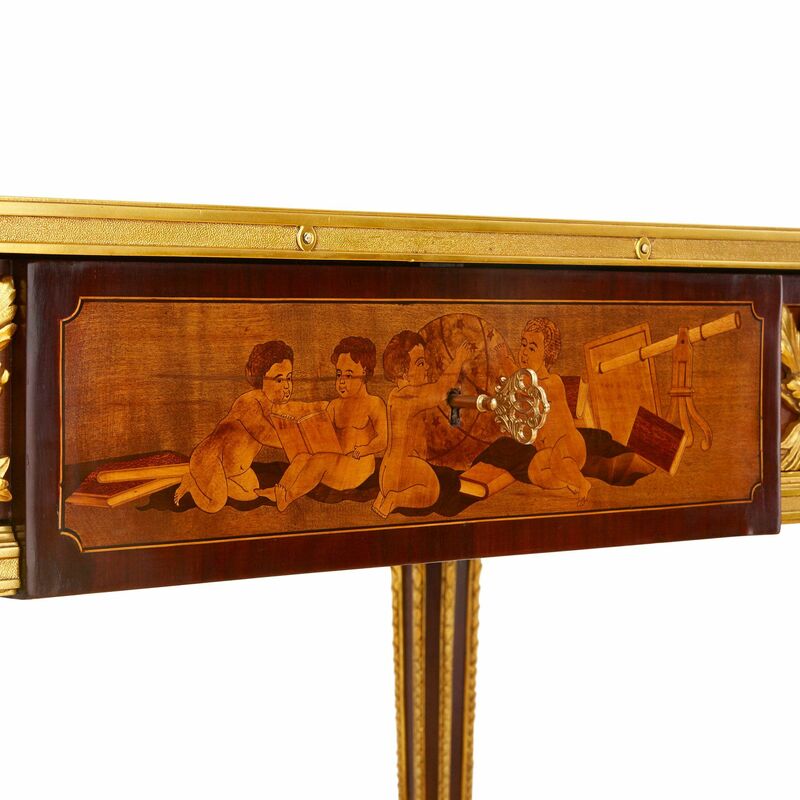 Ledoux-Lebard, D., Le Mobilier Français du XIX Siècle (2000), Paris, Les Éditions de l’Amateur, pp. 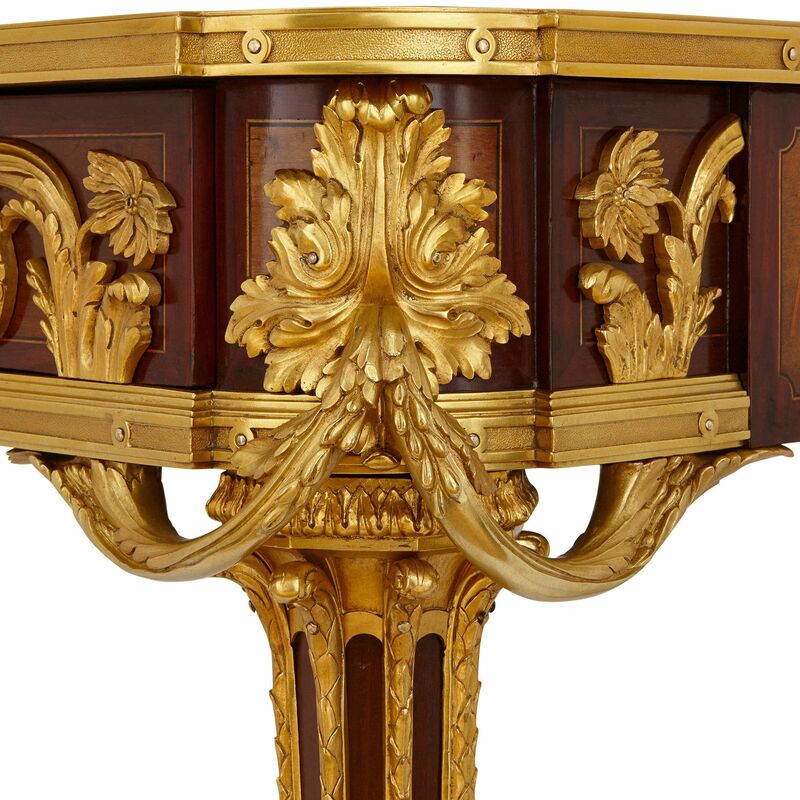 482-3.